RAA volunteers help man the booth at Tractor Supply. 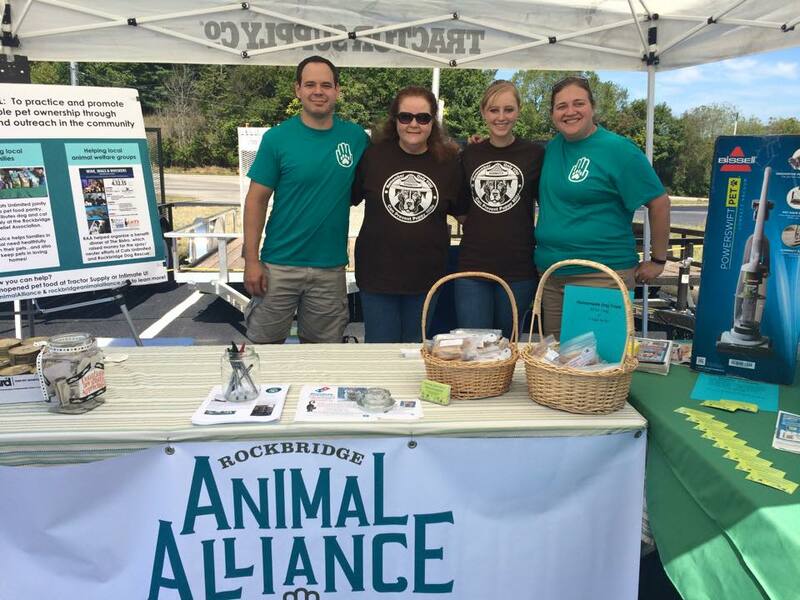 On September 19, 2015, we participated in an event celebrating Pet Appreciation Week at the Lexington Tractor Supply. We had such an amazing day! We raffled off a Bissell PowerSwift pet vacuum and collected over 400 lbs of food to give out at the Pet Food Pantry at RARA. Two Dogs Wholesome Dog Treats generously donated all of their proceeds to RAA, and we also raised money through the sale of our Schmitty the Pitty shirts. Here is some of the food generously donated by our wonderful supporters! We collected around 400 pounds of food!